NEW STANDARD POODLE PUPS AND GOLDENDOODLE PUPS WILL BE BORN MAY 2019!!!!! Labradoodles were bred to combine the no-shedding coat of the Standard Poodle with the gentleness and trainability of the Labrador, and to provide a dog suitable for people with allergies to fur and dander. Like most Labrador retrievers and standard poodles, Labradoodles are generally friendly, energetic, and good with families and children. Like their parent breeds, both of which are amongst the world's most intelligent dog breeds, Labradoodles are very intelligent and quite trainable. 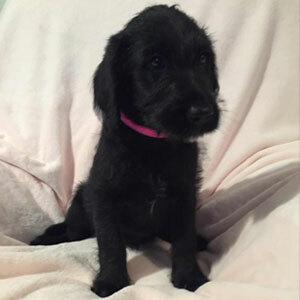 Labradoodles can be taught to obey verbal or sign language commands (or both), and they are commonly used as guide dogs for disabled or handicapped persons around the world. 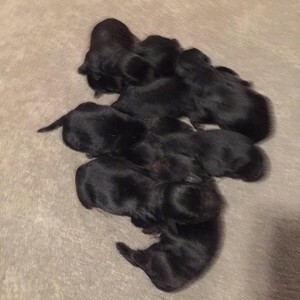 New Litter of Labradoodles born January 4th. Black males and females. The Goldendoodle is a designer dog, crossbred between a golden retriever and a standard poodle. They are favored by people with allergies to hair or dander. A Goldendoodle's size is generally somewhere between a standard poodle and golden retriever, and they range from 45 to 60 pounds for females and 50 to 65 pounds for a male. Goldendoodle puppies have coats that can be curly, wavy, or straight. Colors also vary, and they may be white, caramel, ginger, blond, tan, chocolate, red, or black. These are lovable, well-mannered, intelligent dogs with great charm. They are highly intelligent and one of the most trainable breeds. 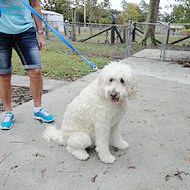 Goldendoodles are loyal, confident, sweet, and eager to please! NEW LITTER OF GOLDENDOODLE DUE IN EARLY MAY! CALL US! Standard poodles have elegant beauty about them. They're exceptionally smart, very trainable, loveable, and proud. They are very good with children and eager to please. This breed is completely non-shedding, has no dander, and odorless. 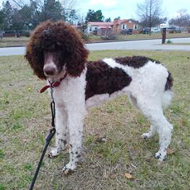 The standard poodle does need grooming to keep its coat looking great. They vary between 45-65 pounds and have live 13-18 years. 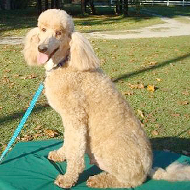 Standard poodles love to play and make great companions. 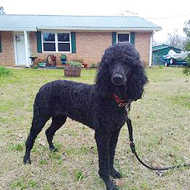 They come from dog breeders in a variety of colors with a curly coat. 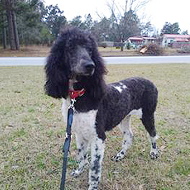 A standard poodle makes a great service dog as well as an excellent choice for a lifetime of fun with families of all ages and locations. 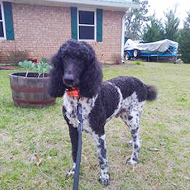 Proud to announce a new litter of Standard Poodle pups due in May. Golden retrievers, one of the most popular breeds in the U.S., are intelligent, friendly, and devoted. They are great with children and other animals. 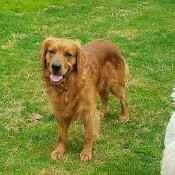 Golden retrievers do shed and have a straight or wavy coat from light to dark in color. The puppies and dogs are very friendly, reliable, and trustworthy with a kindly expression and an eager personality. This type of dog is alert, very self-confident, active, and love to play ball! The golden retriever matures at between 21 1/2 and 24 inches tall and weighs 55-75 pounds. Golden retrievers make great service and family dogs. Contact us to learn more about available puppies, our dogs, and our breeding program. We proudly offer our puppies to customers in search of thier life-long 4 legged family member. Thank you for your interest. 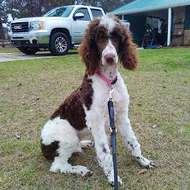 Our dog breeder in Augusta, GA, looks forward to hearing from you soon. Getting a new dog for your family is a time full of excitement and joy. There are not many creatures that have as much energy and vigor as a puppy, and they quickly bring their enthusiasm and love to everyone around them. Finding a dog is also a time to choose wisely, however, because your new four-legged friend is going to be with you for a long time. You want to make sure that you, and the dog, get off on the right foot. 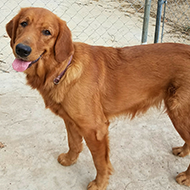 The best way to assure this is to find a professional dog breeder in Augusta, GA, who truly cares about their animals and finding good homes for them. At TUCKERS DOODLES AND POODLES our slogan is “Where Lifelong Friends Are Born,” and we truly believe that and stand by it completely. It is our goal to breed the best possible puppies and find homes for them that are perfect matches. In this way, you are happy, the dog is happy, and we are happy. 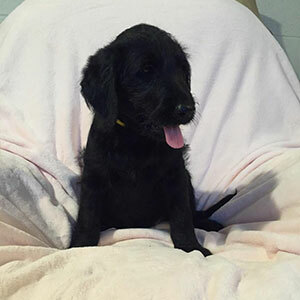 We have bred many healthy litters of very popular breeds, Standard Poodles, Goldendoodles and Golden Retrievers. 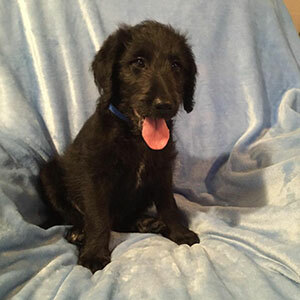 If you are looking for friendly and unique Goldendoodle puppy or Standard Poodle puppy, we have an excellent track record of success to point to with our dogs making excellent pets. 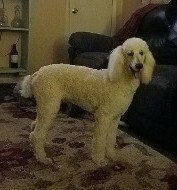 Standard Poodles are completely non shedding and no dander, exceptionally intellignet and so easy to train and love. Our Goldendoodles are designer dogs that are a cross between Golden Retriever dad and a Standard Poodle mom and are non shedding with no to low dander if any. 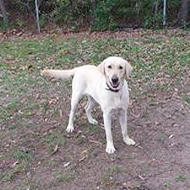 They are also highly intelligent, eager to learn and make great pets as well as service dogs. 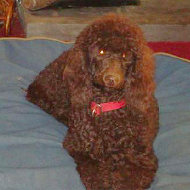 TUCKERS DOODLES AND POODLES uses only healthy and most dependable dogs for breeding. We use a range of Standard Poodles along with Golden Retrievers for our puppies. If you are looking to add a new family member to your family, we are happy to help you find your new best friend.